Hi again Sassy blimey what a tail you tell so pleased your here to tell us..lol..another stunning soft gorgeous creation.. 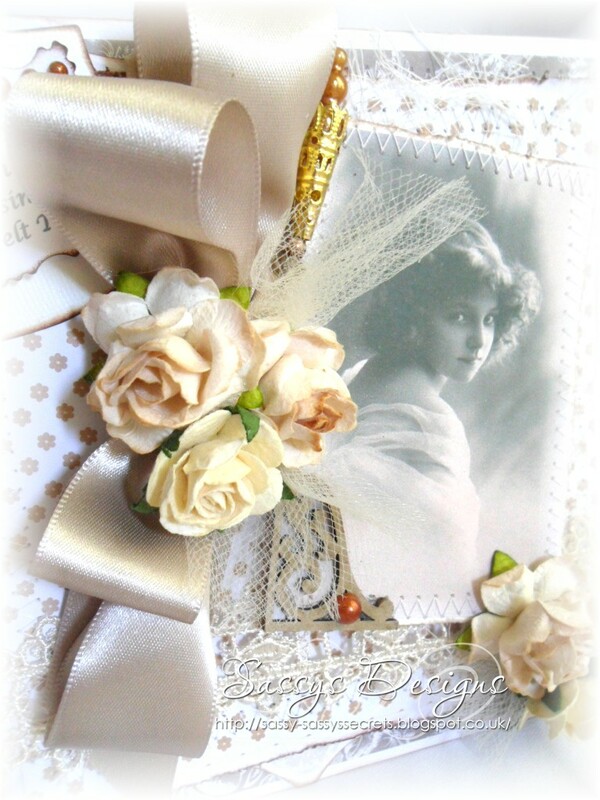 This is absolutely beautiful I like the image the soft colours and that big bow. Gorgeous card, beautiful image and romanic color choice. OMW, I don't know whether to laugh or cry at your story Sassy! How scary and embarrassing all at the same time! Stick to the shower girl and make sure you've got one of those non slip mat things. Fantastic card as always - I don't know how you think of these designs! Your card is so wonderful, Hun! Love the stitching! 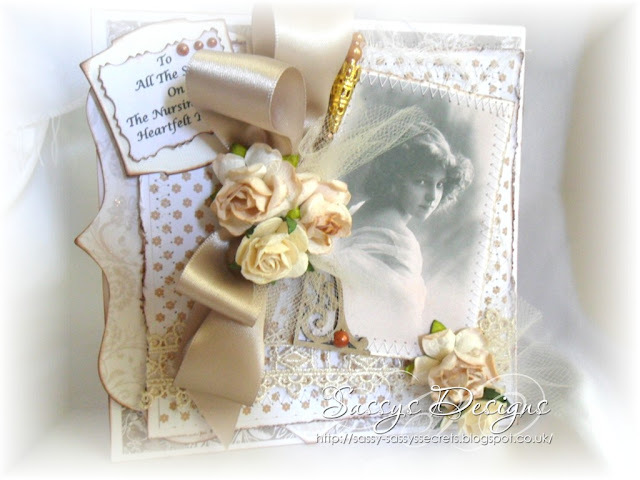 Beautiful, beautiful, beautiful card, dear Sassy! I'm laughing with you, deary, as while I've never fallen getting out of the tub, I did need to call my hubby to come rescue me. And, he has been instructed, never never NEVER call any one if I'm naked!!! Just happens as we get older, stiffer! Thank you for sharing your laughter with us, and thank you for sharing your beauty with us!